"There is music in everything!! I help you to bring forth what is inside…" Freestyle Digital Media has released the first official trailer for an indie drama titled The Maestro, a biopic about the infamous master teacher Mario Castelnuovo-Tedesco. The film focuses on a young composer named Jerry Herst, played by Leo Marks, who moves to Hollywood after WWII to study with Castelnuovo-Tedesco - striking up a friendship with him. The cast includes Sarah Clarke, Mackenzie Astin, William Russ, Alex Essoe, Kristen Gutoskie, Jonathan Cherry, and Jon Polito. This seems like another one of these fuzzy, old-Hollywood romantic biopics about a long lost era. And it looks alright, maybe a bit dry but still worth a look. 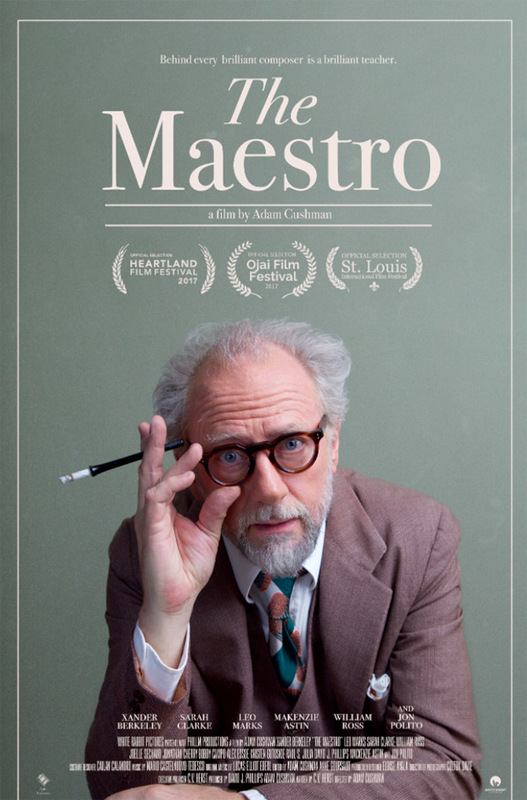 Adam Cushman's The Maestro follows budding film composer Jerry Herst (Leo Marks) as he moves to Hollywood after World War II to study with infamous master teacher Mario Castelnuovo-Tedesco. The film is based on real letters between the two men. An array of film and music luminaries - Gene Kelly, Cyd Charisse, Nelson Riddle, Igor Stravinsky, Stanley Kubrick - are portrayed onscreen as they enter and exit the composer's orbit. The Maestro is directed by filmmaker Adam Cushman, making his second feature film after Restraint previously, as well as numerous short films. The screenplay is written by C.V. Herst. This originally premiered at the Sedona and Phoenix Film Festivals early last year. Freestyle Digital Media will release Cushman's The Maestro direct-to-VOD starting on February 19th coming up. Your thoughts?